The entrance to the 11.6 km long Mont Blanc Tunnel near Chamonix in the Haute-Savoie, France. Mont Blanc, Mont Bianco, Tunnel, Haute-Savoie, France, Europe. 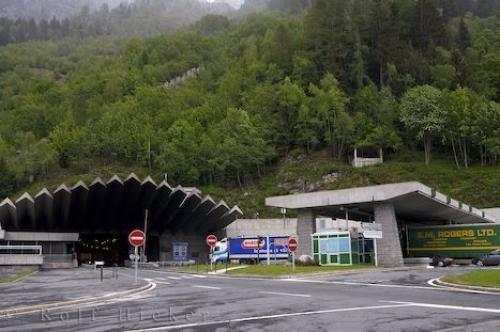 Photo of the entrance to the Mont Blanc tunnel in the Haute-Savoie region of France.